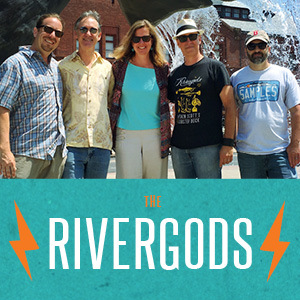 Welcome fans and friends, new and old, to the Rivergods’ blog! As fate would have it, it appears at a time of transition for our family. Long-time guitarist/multi-instrumentalist Sandy “Sandman” Allen has graciously bowed out of the band to put some long overdue focus on his own music and song writing. We wish nothing but love and harmony to our long-bearded friend… follow Sandy’s future musical endeavors at sandmanmusic.net. But as one door closes, others open. It’s fall… the quintessential time of change, and we are ready to don our coats and hats, and see what the next season has to offer us. As we settle into life as a five-piece (again! ), there will be new harmonies to sing, new chords to play. Check out our shows page for upcoming October dates!